One of the best examples of parallax design is a comic strip where the backdrop as well as the characters move as the user scrolls down, seeming like an animated flip book. Popular brands such as Apple have been known to utilize this method to introduce their products, and they have obtained astonishing outcomes. This is a design concept that revolves around the utilization of visual content and presentations to draw visitors in. Essentially, storytelling sets a story-oriented setting and uses progressions to absorb users further in the whole extent of their browsing experience. One great example of this method is infographics as it employs visually-appealing graphics along with succinct yet meaty content to attract visitors, and to subsequently provide them with a structure to arrange and integrate the content in their minds. With this feature, this is the most expedient method for explaining tedious and complicated concepts, topics, or products/services so that companies can deliver a much more effective brand message to their target customers. Designing via storytelling is one of the best web and graphic design trends today for two main reasons. First, it doesn’t directly advertise a product/service to users. Second, stories are chiefly used to inform and educate people in an entertaining way. This tactic is believed to yield higher sales and client engagement compared to traditional direct selling schemes. 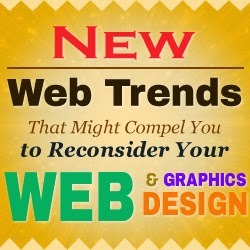 If you desire to have these new design methods, hire an expert firm that provides professional yet low cost web design today!